Well the Florida Marlins, that highly dysfunctional baseball club that nobody realizes is dysfunctional thanks to clowns like the McCourts, are in market for a new manager after Edwin Rodriguez resigned yesterday. And Jon Heyman of SI.com reports that one of the men being considered by the Marlins' brass is former Marlins skipper Jack McKeon, who led the club to the World Series title in 2003. But despite his former success with the club, bringing "Trader Jack" as manager is truly insane. UPDATE: Look at what just happened. Now we all know that McKeon was a very good manager in the big leagues, as he managed the Royals from 1973-75 (fired midseason), the A's from 1977-78 (fired midseason), the Padres from 1988-90 (fired midseason), the Reds from 1997-2000 and most recently the Marlins from 2003 (midseason hire) to 2005. So he has not managed in baseball since 2005 (although it would be his third longest layoff in his managerial career). Bringing in somebody that has been out of work so long does not often work out that well in baseball. Plus, one cannot hide the fact that the guy's 80 years old, which would make the second oldest manager in baseball history. And Connie Mack, while having some success, did not do a great deal of winning once he cracked 80. And how well can a guy in his eighties deal with players that much younger than him? Especially consider the fact McKeon is known as being a very blunt and upfront manager but how much energy will he bring to the table when he is that old? Granted McKeon has turned lemons into lemonade before and he just find some success with this underachieving Marlins club should he become the manager. But for someone of his age, it might be like asking him to turn lemons into Arnold Palmer. The Flordia Marlins are definitely in need of a new manager! 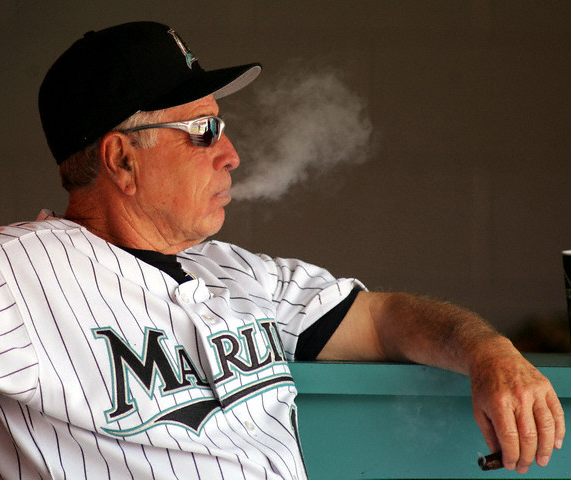 I just think it’s amazing Jack McKeon might be given a shot to manage the team! I want to have his stamina and energy when I am 80 years old!